Time to Cozy up with a Great Book - Ampersand Inc.
Fall is definitely here on the west coast, and that means rain for the next six months. But not to worry; we’ve got plenty of books for you to rea! Why not cozy up with a cup of tea while you watch the raindrops make their way down the windowpane? The author of this year’s Massey Lectures has been travelling the country, speaking about his experience as a war crimes prosecutor. His book is a real call to action for all of us. This gorgeous coffee table book gives you a glimpse at the way Canadian artists have interpreted our incredibly varied landscape. From coast to coast to coast- and everywhere in between- artists throughout our history (pre- and post-colonial) have done their best to capture this incredible place. What could be cozier than curling up for a re-read of book three in JK Rowling’s fantastical series, and poring over Jim Kay’s magical illustrations?! If you’re anything like my friends and family, fall means the beginning of cold and flu season. Here’s a lovely read-aloud to share with the small people in your life, as they battle through the sniffles. Curled up on the couch, and laughing out loud at a book is one of my favourite activities (although not one my husband appreciates necessarily). This book by stand up comic Evany Rosen is just perfect for that. With a uniquely hilarious and feminist take on history, this one is right up my alley! Cool, fall days are also an excellent time for introspection. This collection of the wisdom Oprah has gleaned from her various guests over the years is perfect for quiet contemplation. 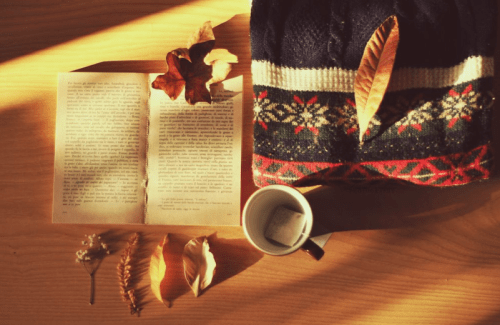 I hope everyone finds the perfect fall book for a cozy reading session!